Home � Disney World News , Hollywood Studios , Mouse Ear Hats , Service Dogs � Service Dogs Love Disney World Too! Service Dogs Love Disney World Too! Disney World Fans come in all sizes! 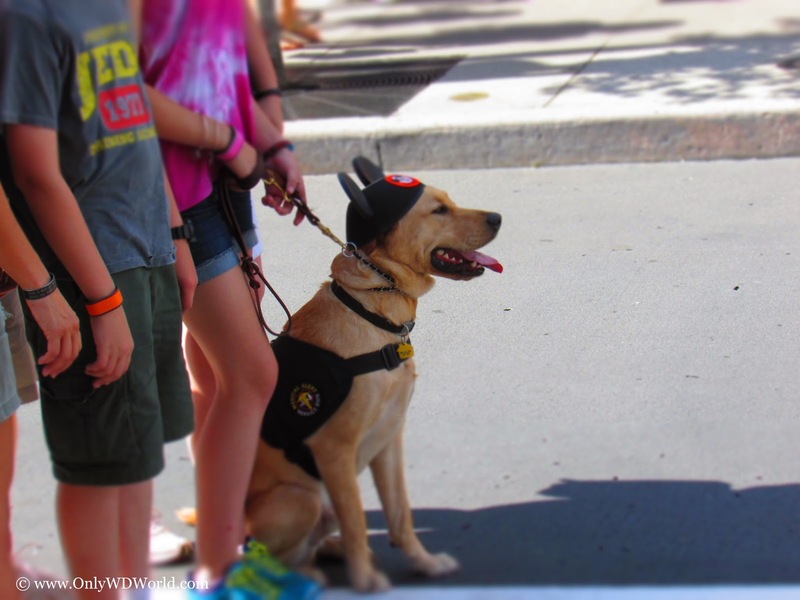 Recently we spotted this service dog enjoying Disney's Hollywood Studios adorned in his Mouse Ear Hat! How cute is that? This medical alert service dog appears to be wearing the Mickey Mouse Club version of the Mouse Ear hat. The only thing missing is getting his own MagicBand! Share this picture and post to show your love of Service Dogs who love Disney World! 0 comments to "Service Dogs Love Disney World Too!"